QUESTION: Martin, I have been reading about machine learning recently and have come across a concept that I believe you might have figured out that no one else has. To quote Max Welling “The information we receive from the world has two components to it: there is the part of the information which does not carry over to the future, the unpredictable information. We call this “noise”. And then there is the information that is predictable, the learnable part of the information stream.” Have you through Socrates figured out a way to filter noise entirely from the system or something of this nature? ANSWER: No. That statement is based upon the idea that the “noise” is just chaos. They cannot see behind the surface and look deep within. There is ALWAYS order to the “noise” and 99.9999% of the problem is that people do not understand how to deal with chaos. 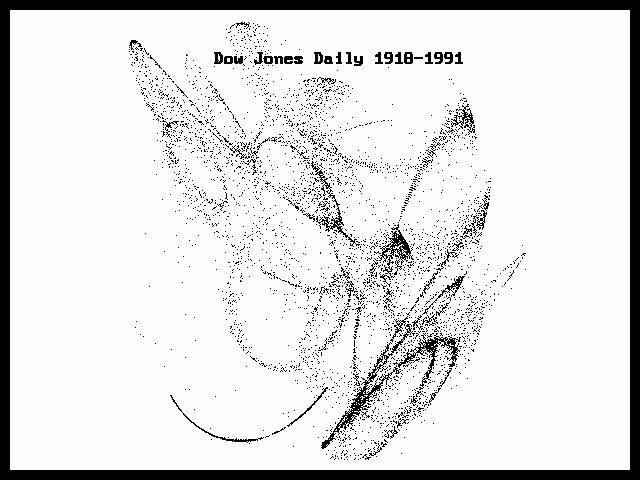 Here is a plot of a daily file of closing in the Dow Jones Industrial Index from 1918 to 1991, which we published long ago. There is a hidden order within that “noise” if you understand how to extract it. « Is Conversational AI Here?